Napoleon was an unremarkable man who managed to change the entire landscape of the world 200 years ago. He has been hailed as a military genius and his victories are still studied by international armed forces to this day. This little book of Lieutenant Sakurai's will help to set us right in regard to the spirit in which the Japanese soldier fights. The story was told to give a true picture of the lives and deaths, the joys and sorrows, of the men who took Port Arthur. John Joseph Pershing was a general officer in the U.S. Army who led the American Expeditionary Forces in World War I. He is the only person to be promoted in his own lifetime to the highest rank in the United States Army - General of the Armies. From Footscray in Melbourne to Flanders on the Western Front, the true story of three brothers George, Joe and Dave, who served in the AIF during World War One. They all had life changing experiences but not all of those were caused by the war. These are the riveting recollections of an officer of the Royal Navy in the first years of the nineteenth century, through the long wars with Britain's enemy Spain and the France of the Revolution, Consulate and of the newly crowned Emperor Napoleon. 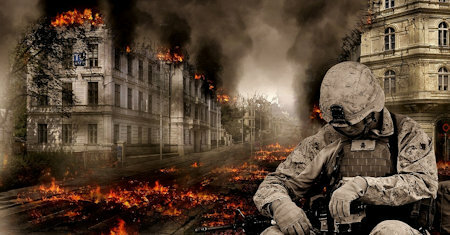 Abruptly we realized that war for the individual has the quality of a perpetual tragic disaster. Later, in the cities of Europe, in the devastated districts, in the towns under bombardment, in the front line trenches, that truth was forced upon me. John Douglas Marshall takes leave of his career as a journalist to examine the legacy of his grandfather, the military historian S.L.A. Marshall, whose reputation and findings from the field of battle were challenged after his death.